After an amazing, nutty weekend, things have calmed down momentarily. I’m still in NOLA but will be flying out back to NYC this afternoon, and I have a sec to catch y’all up on the A.D. book tour so far. 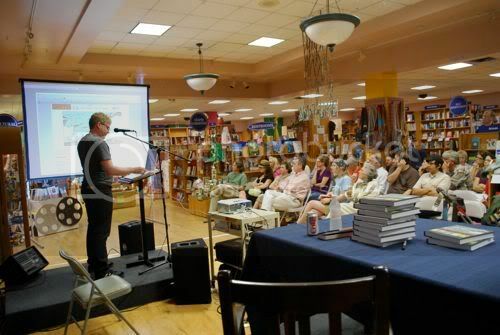 I’ll start with the first event, last Wednesday evening at Book People in Austin, Texas. First I did a quick hit on the university radio station/NPR affiliate KUT, where a reporter interviewed me about the book. 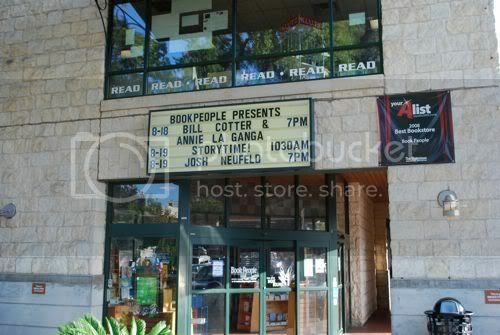 The interview ran during "All Things Considered," and it was a great plug for the Book People event. The presentation was very well-attended, and we had a nice question-and-answer session afterward. A large line formed and I signed books for about a half-hour. Many people had connections with New Orleans and Louisiana, and I also ran into some acquaintances and old friends. My great friend Tori, and her boyfriend Neil and their adorable baby daughter Zia, put me up in town overnight, and mid-day Thursday I set off on my way to Houston for the next event. ← The L.A. Times on "A.D."